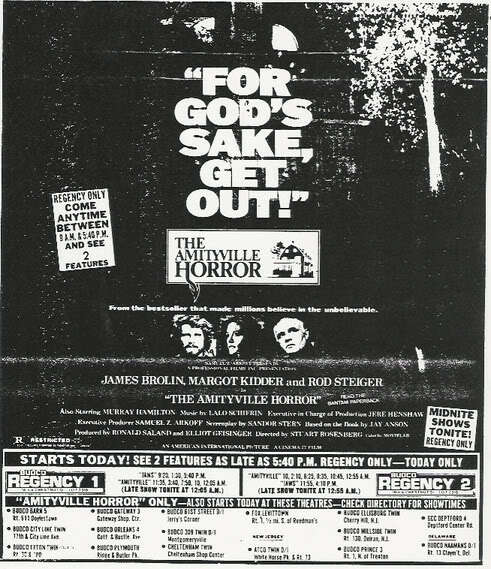 The Amityville Horror Opening Day Newspaper Ad (1979) – via Starts Today! If I get to that theater and there is no movie there will be a problem. Every aspect of the story behind this – the murders themselves, the purported hoax, the public response – is just completely fascinating. BTW, How are you Eva? I’m well, darling. Getting excited for fall…more Halloween stuff is cropping up in the stores every day! Jim, I hope you send pictures when you get set up!